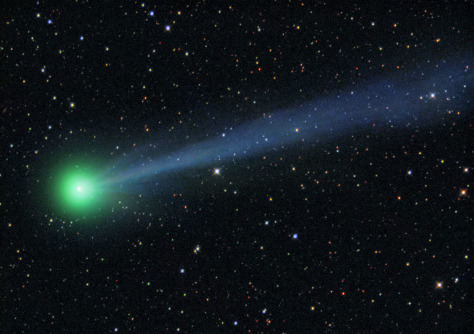 Were comets stolen from alien stars? Skywatcher Michael Jäger of Stixendorf, Austria, took this photo of the newfound Comet McNaught C/2009 R1 on June 6. Such long-period comets may have been pulled into the sun's gravitational grip early in the development of the solar system, scientists say.